14.1" x 16.4" stitched on 14 count. 11.0" x 12.8" stitched on 18 count. 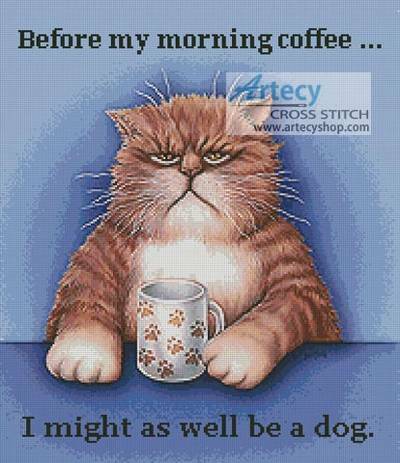 Before My Morning Coffee cross stitch pattern... This counted cross stitch pattern of Roosevelt the cat was designed from the beautiful artwork of Gail Gastfield. Visit Gail Gastfields website here http://www.gailgastfield.com Only full cross stitches are used in this pattern.